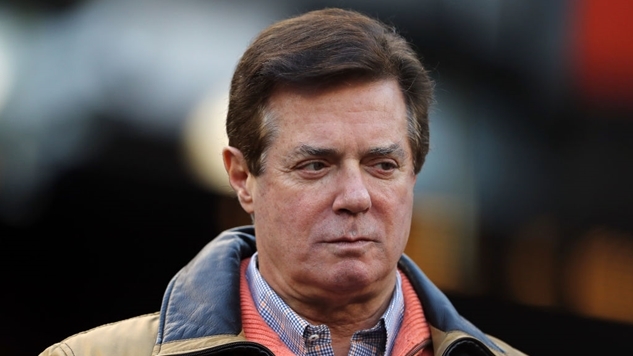 Former Trump campaign manager Paul Manafort turned himself into authorities today, as he and his deputy Rick Gates were indicted by special counsel Robert Mueller on 12 counts: conspiracy against the United States, conspiracy to launder money, unregistered agent of a foreign principal, false and misleading FARA statements, false statements, and seven counts of failure to file reports of foreign bank and financial accounts. However, news broke that a third Trump campaign member found himself in the crosshairs of this investigation, and the charges filed by the Department of Justice seem far more serious than those contained in Manafort’s indictment. Former foreign policy advisor George Papadopoulos pleaded guilty to making false statements to the FBI, and the document released by the DOJ makes it crystal clear that he was involved with the Russian espionage campaign. Here are 20 shocking excerpts from the DOJ’s indictment of George Papadopoulos (text from the DOJ’s document has a grey background). Pursuant to Federal Rule of Criminal Procedure 11, the United States of America and the defendant, GEORGE PAPADOPOULOS, stipulate and agree that the following facts are true and accurate. These facts do not constitute all the facts known to the parties concerning the charged offense; they are being submitted to demonstrate that sufficient facts exist that the defendant committed the offense to which he is pleading guilty. The defendant, GEORGE PAPADOPOULOS, who served as foreign policy advisor for the presidential campaign of Donald J. Trump (the “Campaign”), made material false statements and material omissions during an interview with the Federal Bureau of Investigation (“FBI”) that took place on January 27, 2017. Defendant PAPADOPOULOS claimed that his interactions with an overseas professor, who defendant PAPADOPOULOS understood to have substantial connections to Russian government officials, occurred before defendant PAPADOPOULOS became a foreign policy advisor to the Campaign. Defendant PAPADOPOULOS acknowledged that the professor had told him about the Russians possessing “dirt” on then-candidate Hillary Clinton in the form of “thousands of emails,” but stated multiple times that he learned that information prior to joining the Campaign. In truth and fact, however, defendant PAPADOPOULOS learned he would be an advisor to the Campaign in early March, and met the professor on or about March 14, 2016; the professor only took interest in defendant PAPADOPOULOS because of his status with the Campaign; and the professor told defendant PAPADOPOULOS about the “thousands of emails” on or about April 26, 2016, when defendant PAPADOPOULOS had been a foreign policy advisor to the Campaign for over a month. Defendant PAPADOPOULOS further told the investigating agents that the professor was “a nothing” and “just a guy talk[ing] up connections or something.” In truth and in fact, however, defendant PAPADOPOULOS understood that the professor had substantial connections to Russian government officials (and had met with some of those officials in Moscow immediately prior to telling defendant PAPADOPOULOS about the “thousands of emails”) and, over a period of months, defendant PAPADOPOULOS repeatedly sought to use the professor’s Russian connections in an effort to arrange a meeting between the campaign and Russian government officials. Defendant PAPADOPOULOS claimed he met a certain female Russian national before he joined the Campaign and that their communications consisted of emails such as, “Hi, how are you?” In truth and in fact, however, defendant PAPADOPOULOS met with the female Russian national on or about March 24, 2016, after he had become an adviser to the Campaign; he believed that she had connections to Russian government officials; and he sought to use her Russian connections over a period of months in an effort to arrange a meeting between the Campaign and Russian government officials. Based on a conversation that took place on or about March 6, 2016, with a supervisory campaign official (the “Campaign Supervisor”), defendant PAPADOPOULOS understood that a principal foreign policy focus of the Campaign was an improved U.S. relationship with Russia. On or about March 14, 2016, while traveling in Italy, defendant PAPADOPOULOS met an individual who was a professor based in London (the “Professor”). Initially, the Professor seemed uninterested in defendant PAPADOPOULOS. However, after defendant PAPADOPOULOS informed the Professor about his joining the Campaign, the Professor appeared to take great interest in defendant PAPADOPOULOS. Defendant PAPADOPOULOS was interested in the Professor because, among other reasons, the Professor claimed to have substantial connections with Russian government officials, which defendant PAPADOPOULOS thought could increase his importance as a policy adviser to the Campaign. On or about March 24, 2016, defendant PAPADOPOULOS met with the Professor in London. The Professor brought with him a female Russian national (the “Female Russian National”), introduced to defendant PAPADOPOULOS as a relative of Russian President Vladimir Putin with connections to senior Russian government officials. On or about March 31, 2016, defendant PAPADOPOULOS attended a “national security meeting” in Washington D.C., with then-candidate Trump and other foreign policy advisors for the Campaign. When defendant PAPADOPOULOS introduced himself to the group, he stated, in sum and substance, that he had connections that could help arrange a meeting between then-candidate Trump and President Putin. After his trip to Washington, D.C., defendant PAPADOPOULOS worked with the Professor and the Female Russian National to arrange a meeting between the Campaign and the Russian government, and took steps to advise the Campaign of the progress. On or about April 18, 2016, the Professor introduced defendant PAPADOPOULOS over email to an individual in Moscow (the “Russian MFA Connection”) who told defendant PAPADOPOULOS he had connections to the Russian Ministry of Foreign Affairs (“MFA”). The MFA is the executive entity in Russia responsible for Russian foreign relations. Over the next several weeks, defendant PAPADOPOULOS and the Russian MFA Connection had multiple conversations over Skype and email about setting “the groundwork” for a “potential” meeting between the Campaign and Russian government officials. In addition, defendant PAPADOPOULOS failed to inform investigators that the Professor had introduced him to the Russian MFA Connection, despite being asked if he had met with Russian nationals or “[a]nyone with a Russian accent” during the Campaign. Indeed, while defendant PAPADOPOULOS told the FBI that he was involved in meetings and did “shuttle diplomacy” with officials from several other countries during the Campaign, he omitted the entire course of conduct with the professor and the Russian MFA Connection regarding his efforts to establish meetings between the Campaign and Russian government officials. Despite the litany of crimes committed by Papadopoulos, today is about Paul Manafort. A Reuters report from this July said that “U.S. investigators examining money laundering accusations against President Donald Trump’s former campaign manager Paul Manafort hope to push him to cooperate with their probe into possible collusion between Trump’s campaign and Russia, two sources with direct knowledge of the investigation said”. Given that Papadopoulos is working with the Feds, it seems reasonable to think that this cooperation is geared towards charging Manafort with additional crimes, since nothing in Manafort’s indictment today contains anything pertaining to the campaign. Manafort’s allies fear that Mueller hopes to build a case against Manafort unrelated to the 2016 campaign, in hopes that he would provide information against others in Trump’s inner circle in exchange for lessening his legal exposure. Papadopoulos was arrested one day after Paul Manafort’s home was raided. Manafort joined the Trump campaign in March 2016 (when all these communications between Papadopoulos and the various Kremlin connections began), and served as campaign manager from June to August 2016. Given that the “Campaign Supervisor” appears throughout this Department of Justice document during the same timeline, one would imagine that is either Manafort or someone reporting to him. It cannot be coincidence that the Department of Justice released news of Papadopoulos’s three-month-old arrest on the exact same day that Paul Manafort got indicted. If any of the multiple high-level campaign officials referenced in Papadopoulos’ indictment aren’t Manafort, it seems like a safe bet that they’re at least connected to him. Stay tuned folks, this investigation is really starting to heat up.